A former political prisoner and republican activist, Marian had been in custody since May 2011 when her ‘release licence’ was revoked by then British Direct Ruler Owen Paterson. A royal pardon which would have guaranteed her freedom was described as ‘missing’ from British archives. Suffering from deteriorating mental and physical health, Marian was moved from prison to a Belfast hospital on medical advice last June. Her family described her continued detention as “administrative internment”. She was finally released from hospital yesterday where she was being treated for depression, arthritis and lung problems. Her legal team had gone before parole commissioners seeking to have her freed on licence, with SDLP Assembly member Pat Ramsay and Sinn Féin politicians speaking on her behalf. During the hearing members of the British military were closely questioned by Marian’s legal team. Following two months of evidence, the commission yesterday took the decision that she should be released. It said it had agreed to release the veteran republican “given her current circumstances”. But it refused to reveal the ‘closed material’ -- secret allegations -- which have been presented as evidence to maintain her imprisonment. Last night Marian Price’s husband Jerry McGlinchey said: “I feel a great sense of elation getting her home but it’s a disgrace that closed material was used to keep her in. 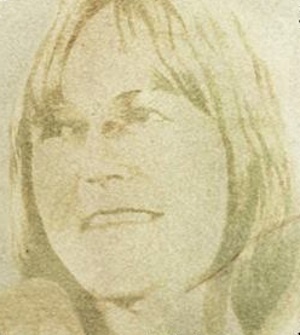 Arrested and jailed along with her sister Dolours for her part in the Provisional IRA campaign in 1973, Marian then undertook a hunger-strike which lasted over 200 days. Prison warders at Belmarsh jail brutally force-fed both sisters to prevent their deaths. Still haunted by that experience, Dolours died at her home late last year. In October, a United Nations medical report found that Marian was be too ill to follow any evidence presented at court, making her detention all the more vindictive. Her lawyer Peter Corrigan welcomed the decision to finally release his client. “We are pleased she has been released to return to her family,” he said. “And we are delighted with the decision that she is not a risk to the public in being released. The SDLP’s Pat Ramsey said the case was about human rights and said he hoped Marian could return to her family and recuperate. Pauline Mellon of the Justice for Marian campaign said her detention had been “politically motivated, vindictive and in breach of the Human Rights Act, the European Convention on Human Rights and Common Law”. Both Sinn Féin and the various campaign groups, including the Dublin Justice for Marian Price Committee, the Prison Crisis Group, and others, pointed to the continued detention of 62-year-old Martin Corey. After more than three years, Mr Corey is still interned without charge or trial on the basis of ‘closed material’, and there is a renewed belief that he can also be freed. Ms Mellon said a number of victims of ‘administrative internment’ remained behind bars. “We would ask that people oppose this terrible injustice meted out against people because of their beliefs,” she said. “The logic of today’s release is that Martin Corey should also be freed,” Sinn Féin leader Gerry Adams said in a statement. The Prison Crisis Group said there was more work to do “fighting for Martin Corey and in solidarity with interned prisoners across the water. “We will be putting particular emphasis on the case of John Downey. But we can take time off today to celebrate.